If you missed Day1, Part 1, Day 1, Part 2 or Day 2, read them first… We’ll wait for you. Knowing that Sunday’s 35 miles would be rushed, since Stephen had to be back in LA by 5pm to teach, I wanted to stack the deck in our favor. After all the missteps and mishaps involving maps, I decided to fix the problem. Snuggled in my sleeping bag last night, with a flashlight hanging from the tent ceiling, I inspected each detail of our route for Sunday. I wrote out cue points for every single landmark and turn we would take. 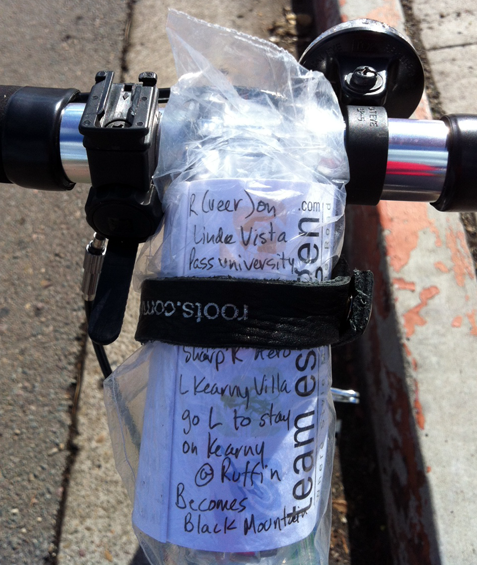 Optimistically, I strapped the makeshift cue sheet to my bike. This would definitely prevent us from getting lost! Stephen had stopped in a bike shop to lube his parts (ooo eer) and the first 10 miles of our our ride flew by. 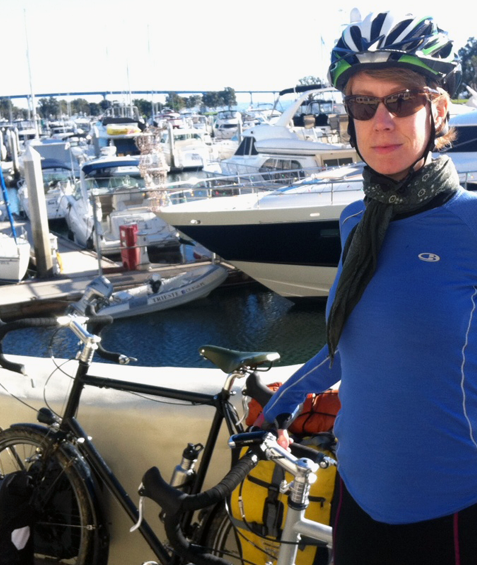 We spent a lot of time discussing why Google maps had routed us through semi-industrial backstreets yesterday, when we were heading right bike the way we came along the gorgeous San Diego seafront today. No matter. That was yesterday. Today we soaked in all the sights. By 9:30 we were a third of the way back to the car and feeling great. Examining the map last night had another benefit. I knew ahead of time that the middle of our route was going to be one big hill, leading from sea level up to Mira Mesa. So when we finally left the waterfront and turned inland, we were somewhat mentally prepared for what lay ahead. Still, today’s hills were absolute monsters compared to what we had tackled yesterday. When you’re at the bottom and you can’t see the top, you know you’re in for it. When riding on flat land, Stephen and I keep pretty equal pace. Our equality vanishes on hills. As far as I can tell, he doesn’t actually distinguish between hill and flat. He just keeps going at the same speed, even when heading straight up. I, on the other hand, play out an internal struggle with each and every hill. I’ve started to define the five stages of hills. Ha, this is barely even a hill. It’s more like an extended bump in the road. It doesn’t scare me. I’ll be at the top in no time. F***ing hill! Why is this happening to me? I curse you, hill, and all your kind. If only I can make it up this hill, I promise to never complain about anything ever ever again. I will be sweet and kind and do good works. If only. I am worthless, my legs are worthless, and this bike is worthless. This hill is worthless and there is no meaning to life. Yep, that was a hill. I am at the top. Now can you please feed me some chocolate while I collapse in the ditch? In normal life, you know it’s lunchtime when your stomach starts growling or the clock says it’s 12:30. On a bike, your legs wind down and down and down until they finally stop. Just like a car running out of gas, you clunk along for a little while, sputter a bit, and then seize up. That’s how you know it’s time to eat. Luckily, just before I seized up completely, we came to a huge suburban mall. This one was extra special because it contained Stephen’s favorite restaurant in the whole wide world: In-n-Out Burger. Eating at In-n-Out requires special preparation for vegans. So, while I sat outside in a stupor, Stephen popped into a giant mall grocery store to buy some fake sandwich meat. But this wasn’t just any old Vons or Safeway. It was a spanking new, giant Korean grocery store. 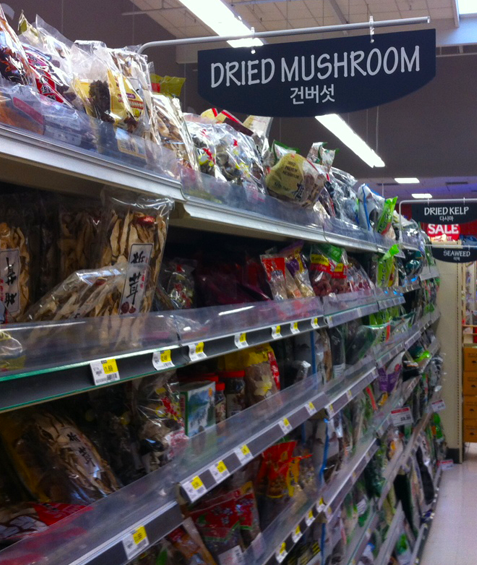 They had acres of tofu and entire aisles dedicated to dried mushrooms. 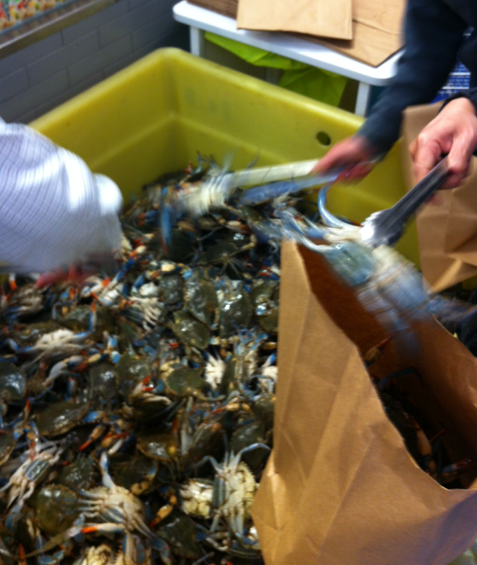 There were also large bins of live crabs. It took quite some time, but finally Stephen emerged with a package of Tofurkey sandwich meat and we rolled over to In-n-Out. We leaned the bikes against a convenient wall and Stephen went in and ordered his usual (times 2): a burger sans burger and fries with extra pepper. Normally this food tastes like cardboard to me, but today it went down pretty well. 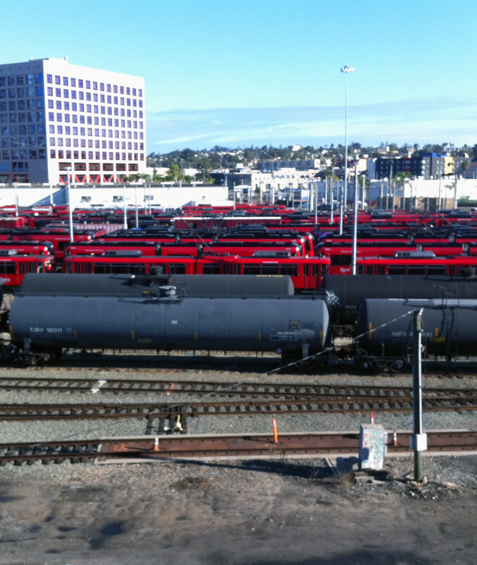 Since we were all fueled up, the last five miles were a breeze. We got back to our car just in time to get Stephen to work. And a few minutes after we had everything stowed away it started to rain. On the drive home, we discussed whether we really wanted to spend every day for 6 months doing all the things we had just done. We decided we’d better sleep on it. 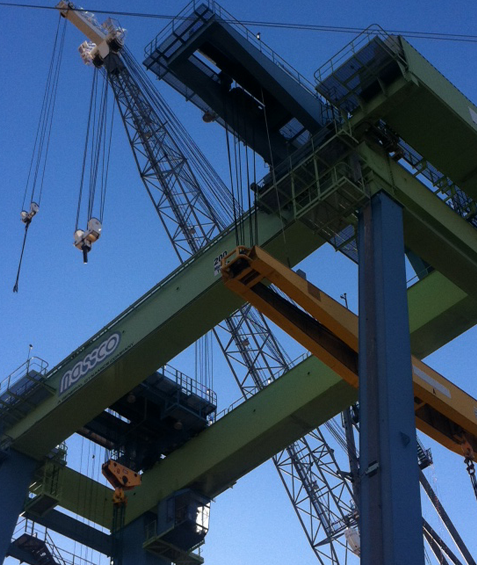 Thank you Jane for an engaging blog. As I sit in my kitchen, in the post solstice dark, looking at the -27c thermometer, I am inspired by your biking adventure, but not sure how to capitalize on my inspiration without an indoor stationary bike! Your writing reminds me of my countless hours I have spent in rainy, difficult situations in the wilderness where the only thing that kept me going was 1) a lack of alternative and 2) reminding myself of my “secret weapon” which I would encourage you to adopt…no matter what, and this takes discipline, keep a dry set of long underwear to wear iin camp. Even if this means changing in from those dry clothes in the morning to go back to yesterday’s wet/ frozen clothes. Trust me, it’s worth it! Thanks for the comment Tom. As you know, cold weather is not my strong suit, so I’m trying to plan for never being in sub-zero temps. But I’ll be sure to keep my camp long-johns safely stowed away along with a pair of thick wool socks. Julie, we’ll do our best to have as many adventures as possible so that you can enjoy them through us. But I know you’ll be having as many new adventures at home (ones that only having a tiny human being to care for can bring).